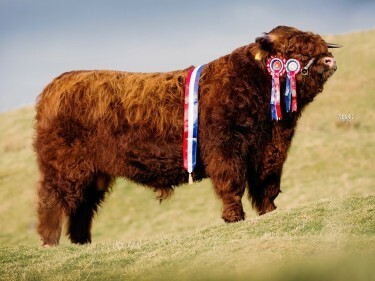 Highland cattle sold to a top of 9,000gn at the breed society’s spring show and sale in Oban. The fixture, now in its 125th year, saw the top price paid for the reserve overall male champion from the pre-sale show. Campbell of Tilbouries, which was put forward by Jim Fraser, of East Tilbouries, Maryculter, Aberdeen, is a Campbell 1st of Tordarroch son out of Ciara Dubh of Lismore. 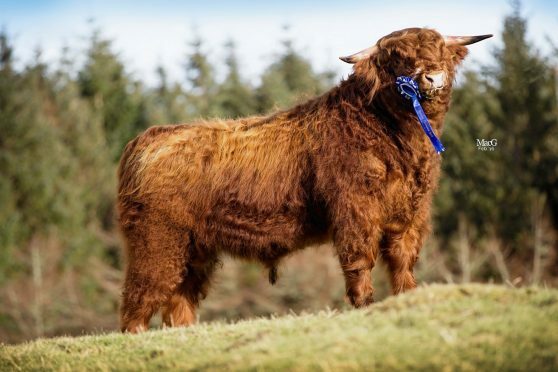 Following a successful show season where he was crowned male champion at the Sutherland, Nairn and Grantown shows, Campbell sold to Queenie Strickland’s Cladich fold at Keppochan, Dalmally. 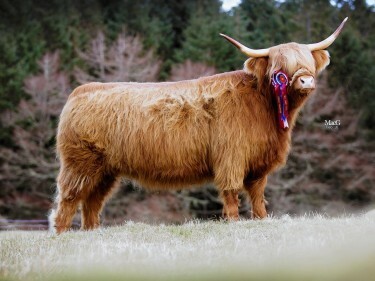 He was the first animal sold by the Fraser family at Oban. Meanwhile, the overall male champion, as judged by Donald MacNaughton of the Rannoch Fold, sold for 7,000gn. Coirneal of Balmoral, which hails from HM The Queen’s Balmoral fold at Balmoral Estates, is by Prionnsa Dubh of Craigowmill and out of Phiobaidh 93rd of Balmoral. He heads to the Glengorm Fold, which is run by the recently retired Highland Cattle Society president Tom Nelson. The female champion – a senior heifer from Sir William Lithgow – sold for 5,000gn, topping the female trade, to David Smith, of Fraserburgh. Susan 19th of Ormsary is by Callum 2nd of Goldenberry and out of Susan 11th of Ormsary. She was sold in-calf to Padruaig of Gildenvale. The reserve overall female champion – three-year-old heifer Hazel 15th of Knockendon from Ronald and Frances Fergie – also sold to David Smith for 1,500gn. This one is by James Beusach of An Sidhean and out of Hazel 5th of Knockendon. According to the breed society’s secretary, Sian Sharp, a steady trade was achieved at the sale with 20% of the animals sold heading to Germany and a further four animals destined to Denmark, three to Estonia and two to Italy. “Although most section averages were back slightly on the previous year the clearance rate was 80% with 79 animals sold out of a total of 99,” said Ms Sharp.